In 2015, again in fashion are skirts, they are so varied, they can be worn every day and in any occasion. 1. 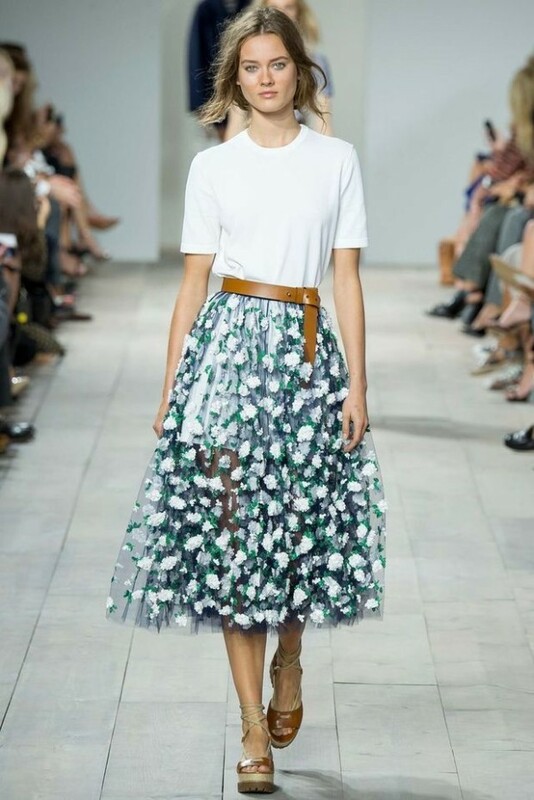 Skirts with high waist – the most elegant trend in spring – summer 2015th. High waist skirts are not only able to visually extending the legs and expression of hips, but also this skirt is very varied and practical. This skirt can be combined with a short or long shirt. 2. In trend this season are mini skirts, especially broad mini skirts. Girls with nice body can bravely choose skinny and short mini skirts. 3.2015 Fashionable flared skirt, this skirt is returned us in a retro style, but modern flared skirt, apart from their predecessor , is enough retro democratic. 4. 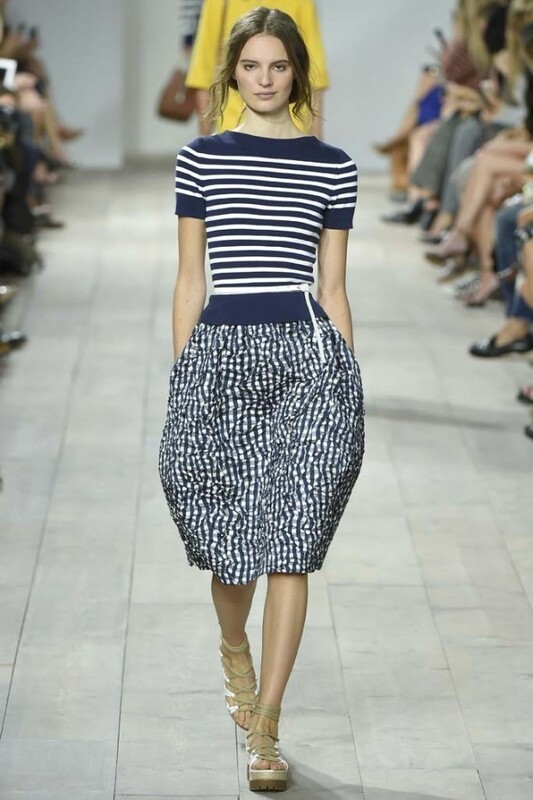 Skirt with many kinds of material are in trend this season spring – summer 2015th. 5. Fashionable pencil skirt Spring-Summer 2015, strict, stylish almost never go out of fashion for a long time have the status of “basic“ wardrobe of every woman. 6. Spring-Summer 2015 – trapeze skirt, these dresses are very comfortable and therefore are very popular among modern women. Women in them feel safe and comfortable. These skirts emphasize the beautiful body of every modern woman, especially hips. 7. In trend this spring – summer are long skirts. As narrow, also and wide skirts are popular. In the summer, choose a skirt of thin air fabric and, in cold conditions select a thicker or knit skirts. Maxi skirts are best combined with bulky or tight – fitting shirts.